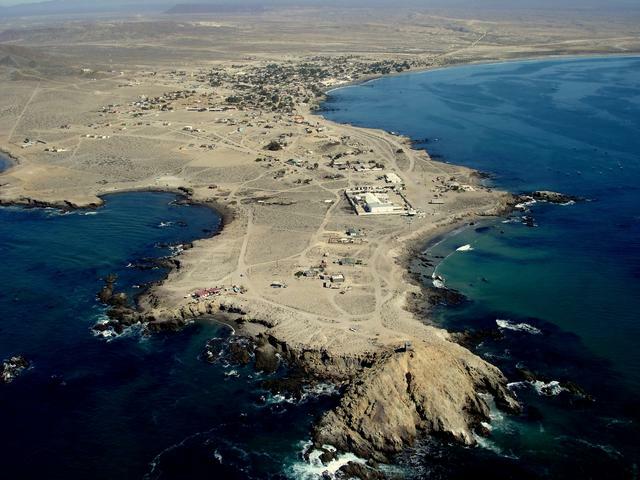 The picturesque fishing village of BAHIA ASUNCION is located on the west coast of the mid Baja Peninsula in the heart of the Vizcaino Biosphere Reserve (the largest reserve in all Latin America!). This friendly town is situated on a long sandy beach, fantastic for swimming, boogie boarding, running, beach sports, and excellent fishing in pangas, off the rocks, spearfishing and surf casting. 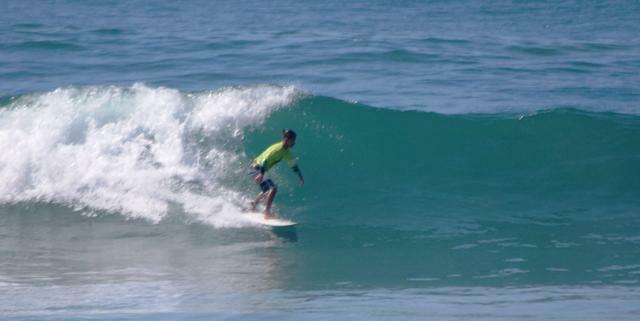 The southern end of the large bay is a great surf spot, which is kind of a secret!! And the northern point is awesome for catching dinner off the rocks or collecting mussels. There is even a “bufadora” or blow hole which is a popular spot for bathing in the natural pools at high tide and showering in the spray of the water spout. There are about 3,000 inhabitants that depend on the 2 fishing cooperatives that harvest abalone, lobster, clams, giant sea snails, shark and many species of fish. The residents are mighty friendly folks who are anxious to welcome you to their town, try out their English and invite you home to meet their families and perhaps share a fresh plate of seafood with some homemade tortillas. Count on excellent services including gas station, water purification plant, hospital, clinic, many grocery stores with fresh produce, meat and dry goods, ice, 2 internet cafes, 4 hardware stores, 2 pharmacies, tire shops, mechanics, welders, accomodations, campground, restaurants, art gallery, tackle shops, telegraph office, cell service and even a masseuse! It is also a popular, safe anchorage for visiting cruising yachts who enjoy strolling through the village and restocking their galley. Apart from the spectacular pristine beaches and fishing, the village is known for it’s lovely gardens and variety of trees, but what’s best is that there are very few tourists. Before the road was paved, it was difficult to reach this part of the Baja so the locals have not been negatively impacted by hoards of tourists. Many guide books incorrectly state there are few services available and suggest it’s very hard to get to, which is not at all true.The road into Asuncion is now completely paved all the way in. Baja travelers who do venture out here are amazed how beautiful and peaceful it is and end up staying much longer than planned and return often with more friends (although lots of people want to keep the secret to themselves!) There are few gorgeous places left on the Baja which aren’t getting crowded with tourists, and this is certainly one of them. Truly an undiscovered paradise. Here is a blog with current projects going on in the village.